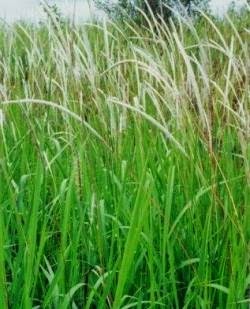 Reed or often called by the name of a type of grass-leaved weeds are sharp, which often become weeds in agricultural land. The scientific name of reeds is Imperata cylindrica. Although often regarded as weeds, but it has a lot of benefits and health benefits, especially for traditional medicine. Various types of health problems and diseases can be treated by using reed plants. A course such as asthma, diarrhea, hypertension due to kidney disease, urinary stones, whitish, diuretic, bleeding, hepatitis, prostate and lung inflammation. 100 grams of the roots of reeds, 25 grams kencur, 25 grams of betel leaves, boiled with 1 liter of water until the water a half, strain, put 1 tablespoon of honey and 1 teaspoon lemon juice, drink well before bedtime. 250 grams of grass roots washed, boiled with 2 cups of water for 15 minutes. Once drink 1 cup, immediately after defecation. 200 roots of reeds, tangkue (sweets made of white pumpkin), boiled with 2 cups of water until the water a half, cool, strain, drink 2 times a day. 100 grams of grass roots, leaves meniran handheld 1/2, 1/2 handheld cat whiskers leaves, boiled premises 5 cups of water until the water a half, cool, strain. Drink 3 times a day each 1 cup to rock out. 500 grams of the roots of reeds, 2 papaya leaf stalks, 5 grams pulasari boiled with 2 cups of water until the water a half, strain, to be taken 2 times a day. 250 grams of grass roots, rock sugar boiled in 3 cups of water for 10 minutes, cool, strain. Drink 3 times a day, each 1 cup. 200 grams of grass roots washed, boiled with 6 cups of water until the water 2 cups, cool, strain, to be taken 3 times a day. 500 grams of grass roots boiled with 6 cups of water until the water a half, chill, to drink 3 times a day. 500 grams of grass roots, leaves sembung 5, 10 dried jasmine flowers, salt, boiled in 3 cups of water until the water a half, strain. The solution is to drink 2 times a day.